I have been dog crazy since I can remember. I am sure my first word was puppy. I started showing my lab and best friend Anne in 4th grade in 4-H. She was the best obedience dog anyone could have asked for. We acheived great success and accumulated many Grand Champion titles in our years together. I started to teach the classes after our instructor moved away. I taught obedience classes for a few years, then Anne passed and I was heart broken. I just couldn't face the dogs so I stopped for a few years, but would always bring home a new dog to love. One of my long time friends got a Shar-pei and I fell in love with the breed. I got one of her puppies, and that was really my start in the breed and the confirmation ring. That was in 1992, and I have been crazy about the breed and raising healthy wonderful show dogs and companion dogs since then. In 1994 I met my first French Bulldog. I knew that some day I would have one. We have met so many wonderful people thru our dogs. We can't begin to thank them all, but we really love every one of our animals and are thankful for the love they give us. We have had hard lessons in both our breeds, but the more we learn the better we are able to use that knowledge to improve our breeds. We don't have a lot of dogs, and don't breed a bunch. 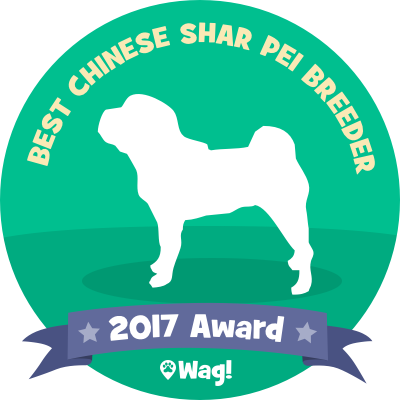 But we hope that through thoughtful and thoughtout breedings, and health testing our breeding animals we are helping to improve the health and temperments of our Shar-Pei and French Bulldogs. We also believe that nutrition plays just as big a role in our dogs health as the rest does. We feed our dogs a good quality food made in the USA and treats made here too. We think you to will love the results you see when you feed a good food. Thank you and we hope you will put your trust in us to raise your next family member.